When AMD EPYC first launched, Supermicro was one of the first vendors to have servers available in the market. Supermicro primarily sells fully configured systems today, but the company still has a components business that forms the backbone of a large ecosystem. 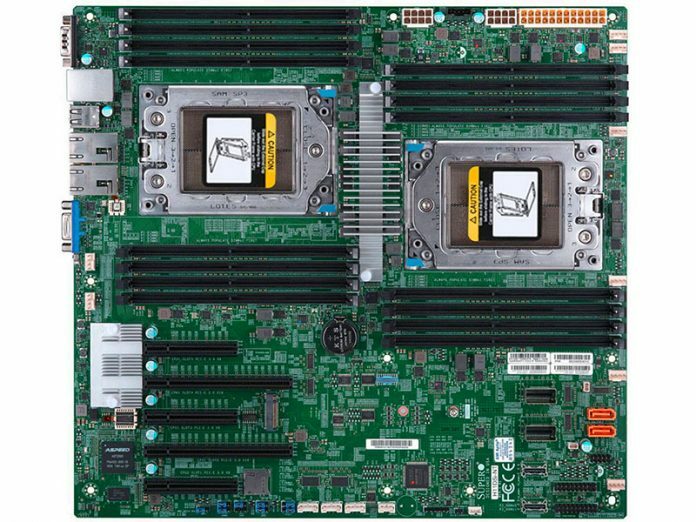 Our review today is going to be of the Supermicro H11DSi-NT, a dual AMD EPYC motherboard that is at the heart of the Supermicro 4023S-TRT 4U pedestal server. We will have a review of the full server soon, but we wanted to provide a view of the motherboard since that is a common question we get at STH. 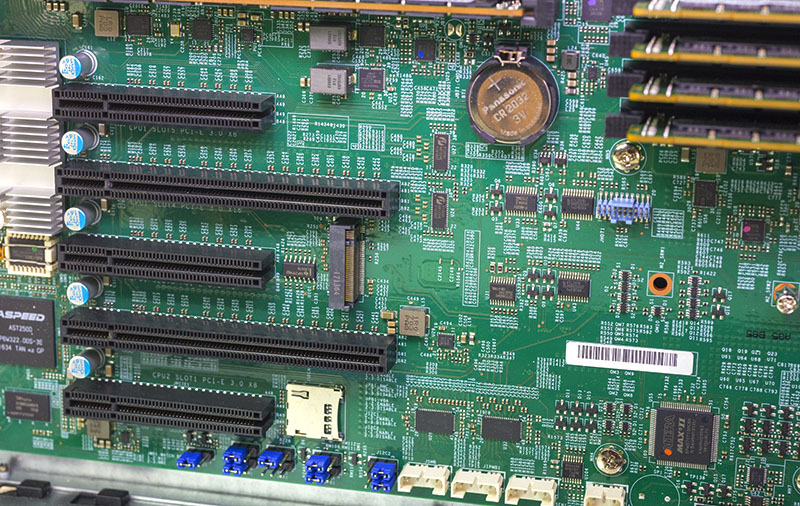 You will notice some of the photography shows a fully configured system as we wanted to leave the board in the context of the full Supermicro 4023S-TRT server. AMD EPYC, especially dual socket AMD EPYC, means that a lot of real estate is required. The CPU packages and sockets are very large. Each CPU socket is flanked by 8 DIMMs minimum to fulfill the 8 channel memory. With 16 DIMM sockets and two large CPU sockets in the Supermicro H11DSi-NT is pressed to keep space to an E-ATX form factor. That is important as the 12″ x 13.05″ size means broad compatibility with Supermicro chassis as well as custom chassis. Each CPU is flanked by 8 DIMM slots for a total of 16 DIMMs in the system. That configuration allows 1TB of DDR4 RDIMMs per CPU running at DDR4-2666 and up to 2TB for the entire motherboard. That is more RAM capacity per socket than current Intel Xeon Scalable CPUs can support unless you turn to their 1.5TB/ socket “M” SKUs which cost about $3000 more than the non-M counterparts. If you need 1TB of RAM per socket, this is essentially a $6000+ benefit from going with EPYC. For storage, the Supermicro H11DSi-NT has an intriguing combination. There are 10x SATA III 6.0gbps ports, two of which are gold connectors able to provide SATADOM power without a cable. The other eight are provided via two SFF-8087 connectors which makes cabling to backplanes easy. 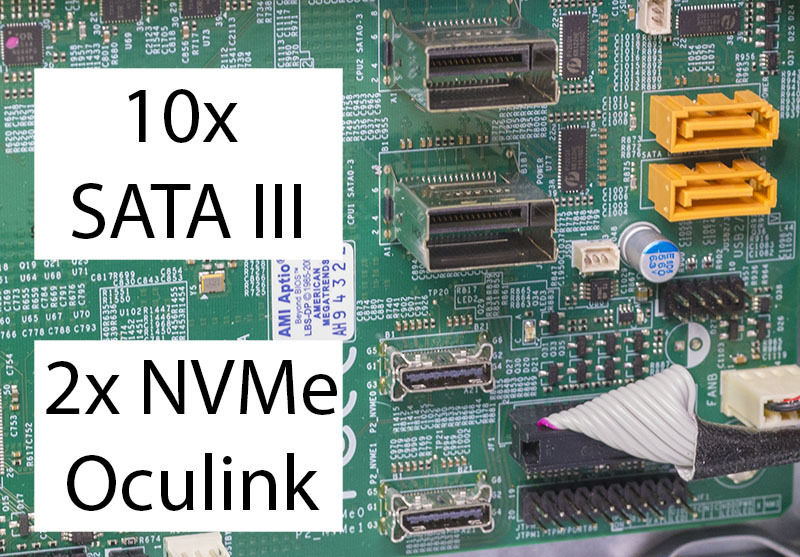 For NVMe storage, there is a pair of Oculink headers as well as a PCIe 3.0 x2 m.2 slot. We would have liked to have seen a PCIe 3.0 x4 m.2 slot, given the platform’s plethora of high-speed I/O but if you are using a drive such as the Intel Optane 800p, this is all that you need. Add-in card expansion is provided via two PCIe 3.0 x16 and three PCIe 3.0 x8 slots. For the rear I/O there is an array of functional and legacy ports such as the two USB 2.0, two USB 3.0, VGA and serial ports. These help with connecting KVM carts in the data center should that ever be required. The standout on the Supermicro H11DSi-NT is the dual 10Gbase-T networking. These use a modern Intel X550 10Gbase-T controller and aligns well with Supermicro’s Intel offerings. Standardizing on a NIC means that ISVs and VARs do not have to manage different NICs on Intel and AMD platforms. Next, we are going to discuss the management features of the H11DSi-NT. The Supermicro H11DSi-NT is a dual AMD EPYC 7000 series motherboard that easily integrates into existing platforms due to its EATX layout. With the H11DSi-NT one gets five PCIe slots, a m.2 slot, two Oculink NVMe ports and ten SATA III 6.0gbps ports in a platform that sports up to 2TB of RAM in 16 DIMMs. The key differentiator between the H11DSi-NT over the H11DSi is that this motherboard has dual 10Gbase-T Ethernet onboard. 699 for this motherboard…That’s NOT bad at all. Shame the CPUs are still $1k/each. I have one of these in shipment. In order to keep costs minimal however, I only bought one 7281 CPU and 4 RDIMMs. I intend to add additional hardware in time. Meanwhile, your article points out how critical the positioning of hardware is on the board. In addition I have an AIC Optane SSD, and an M2 SSD. I am a noob with server-class hardware and Epyc, and I would greatly appreciate it if you would recommend what slots to plug things into. @rollin Look at the block diagram supported on the third page oft the review and you will know which slots to use when there is only one cpu equipped. I’m so tired of this market. 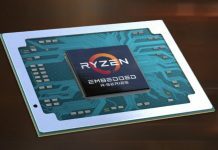 AMD launch EPYC marketing the 128 lanes capability, and until now i never saw any motherboard that give us at least 7 pci-e x16. Even threadripper that is capable at 64 lanes the motherboards only have 2 pci-e x16, because that’s the number of pci-e found on Intel parts. But now that scalable has 48 lanes supermicro launch a 6 pci-e x16 motherboard, the X11DPG-QT. When not nvidia fu**ing the entire market to make their products look better(because without it everyone will see that they are not) is Intel following the leader. Is hard to be a reasonable consumer this days, unless you cover the nose and swallow everything that this guys throw in the market. I have puchased this and am currently running one CPU only. I have had no luck connecting the IPASS sata ports 0-3 to the backplane of my supermicro case. I can’t get any hard drives to show up. Any ideas? I’m also having trouble with Centos 7.5, I no on Supermicro site they OS compatability matrix shows only 7.3 and so far a 7.3 “minimal” installation seems to be working fine.